Looking for a way to upgrade your Samsung smartphone or tablet! Or did you just brick your smartphone! Whatever the reason, you can solve it by flashing stock firmware. You don’t need to leave your smartphone or tablet to service center for this. You can do it yourself right from your home. All you have to do, read this guide carefully. To complete our purpose we will use a tool called Odin which is designed to work on Windows PC. So if you have Linux based PC try your luck with Wine tool and Mac user can try WineBottler to check if it works there. Again, don’t skip any steps; read everything carefully before flashing Samsung stock firmware on your Samsung device. This guide going to be simple and easy for you. 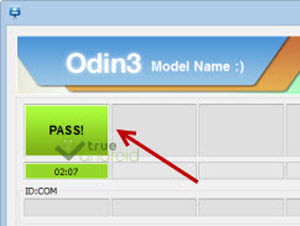 Apart from having Odin flash tool, all you need to have right stock/official firmware for your smartphone or tablet. You can simply use our search box to find firmware for your device model. If you downloaded it from somewhere else make sure the site is trusted enough. Anyway, once you get the right firmware just follow below guide to flash it using Odin tool. Step 2: Extract Firmware zip file that you downloaded, you will get a .tar.md5 file and some other files (optional). 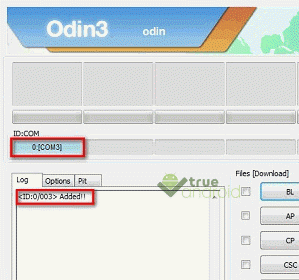 Step 3: Extract Odin zip file and you will get Odin3 v3.13.1 along with few other files. Step 4: Power off your Android device. Wait 5-6 seconds for vibration to confirm complete switch off. Step 5: Now, put the Samsung smartphone on Download Mode by pressing and holding down the Home & Volume Down button together while pressing the Power button. For tablet only press Power and Volume Down button together. A warning screen will come up; press Volume Up button to enter Download Mode. Step 6: Now run Odin3 v3.13.1 (see Step 3) as an Administrator because Admin privileges is required to complete the process smoothly (only applicable Windows Vista and higher). Step 7: Now connect your device to your PC using USB cable. An “Added! !” message will appear in Odin’s message box. If you don’t get the same then you should try another USB port (try USB port located in back in your desktop PC). If that too doesn’t work then you should reinstall the driver. If you successfully see the “Added! !” message in Odin then you are ready to go in next step. You should also see COM port with a number in Yellow if you successfully added your device. Step 8: Click the AP Button, and select that .tar.md5 file that you get in Step 2. 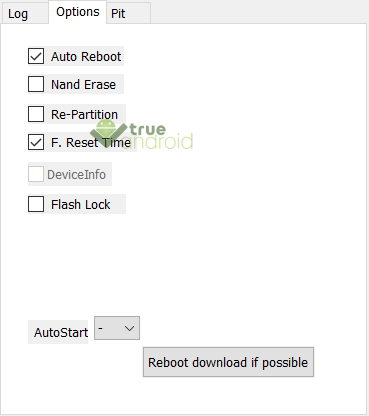 Step 9: In Odin window, make sure only Auto Reboot and F. Reset Time checkboxes are selected. Step 10: Double check everything that we mentioned in Step 8 & Step 9 above. Now, once satisfied hit the START button to begin the flashing process. Step 11: Once flashing completed, your Samsung device will restart and soon you will see a PASS message with green background in the left-most box at the very top of the Odin. You can now unplug the USB cable to disconnect your device from the computer. Congrats! You just updated your Samsung smartphone/tablet to a newer firmware. Go to Settings > About device to verify this firmware update. 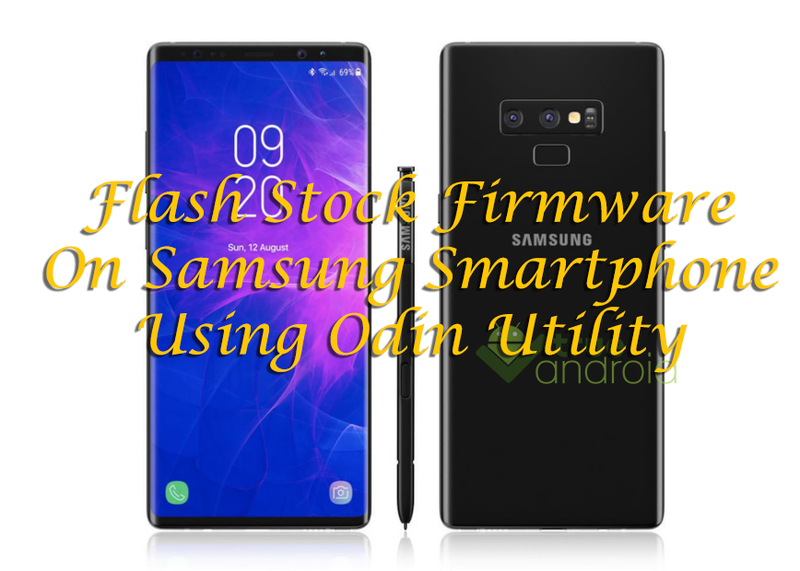 Hope this tutorial helps you to know How to Install Stock Firmware on any Samsung Smartphone / Tablet using ODIN.